RNA has long been the neglected middle child of biomolecules, the go-between from DNA, which encodes the cell's instructions, to proteins, which carry them out. 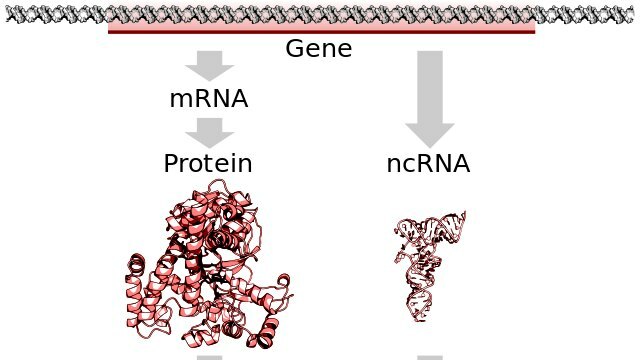 Increasingly, though, researchers are recognizing RNA as a versatile molecule with, possibly, as many functions as proteins have. New research from Emory University, published in the October 12, 2018 issue of the Journal of Biological Chemistry, shows that one such versatile RNA molecule may be a key player in human cells' frontline defenses against viruses. The title of the article is “A Human Cellular Noncoding RNA Activates the Antiviral Protein 2′–5′-Oligoadenylate Synthetase 1,” Dr. Graeme Conn, the biochemistry professor who oversaw the work, studies how RNA is involved in the body's responses to infections. When a human cell senses a virus, it activates a signaling pathway: a protein called OAS (oligoadenylate synthetase) gets turned on and produces a signaling molecule, which in turn activates another protein that both directly defends against the virus as well as activating other parts of the cell's innate immune system. As it turns out, human RNA might play an important role in this pathway, specifically a human RNA molecule called nc886. The "nc" stands for "noncoding," which means this RNA molecule is not carrying instructions for building a protein. It's doing something all on its own. What it's doing, the new JBC paper shows, is turning on OAS, thus setting off the chain of events that destroys viruses. "We saw that (nc886) wasn't just an activator of this pathway, but a very potent activator," said Brenda Calderon, who carried out the research as a graduate student in Dr. Conn's lab. The nc886 molecule can adopt two different shapes, and one of them is much better at activating OAS than the other.